Waltham, Mass.  – December 1, 2011 – DealerRater®, the nation’s premier car dealer review web site, announced today an important update to its DealerRater Push™ product, a key feature of the DealerRater Certification Program. With this new enhancement, Certified Dealer members will be able to further build positive online reviews and associated star ratings from customers on Google. For every consumer that now posts a positive review of a Certified Dealer on DealerRater, DealerRater Push will prompt the reviewer to copy and paste the review and star rating to Google Places. DealerRater Push was formerly limited to reviewers maintaining Google/gMail accounts. Through DealerRater Push, DealerRater reviews populate to Google Places immediately, rather than having to wait the four to six weeks it has traditionally taken for Google to index the DealerRater review content into dealer Google Places pages. DealerRater Push is included within the framework of DealerRater’s comprehensive Certified Dealer Program, a proven online reputation tool for car dealers. Embraced by more than 4,200 car dealers across the U.S. and Canada, the Certified Dealer Program is designed to help car dealerships grow their online presence and achieve higher SEO rankings across the Web. Certified Dealers are able to connect with DealerRater’s five million web site visitors while demonstrating an utmost commitment to quality customer service. DealerRater was founded in 2002 as the first car dealer review website worldwide. DealerRater is the world’s #1 online resource for anyone seeking third-party information on automobile dealerships. DealerRater features more than 41,000 U.S. and Canadian car dealers, 500,000 user reviews and over 1,000,000 cars for sale. DealerRater attracts more than 5 million consumers every year who visit the site to search for car dealerships, read current reviews, write their own descriptive reviews, and find car deals – all for free. Car dealers are rated on the criteria of customer service, quality of work, friendliness, price and overall experience. In addition, DealerRater offers qualified car dealers a Certified Dealer Program as a reputation management tool to help them grow their online presence and achieve higher SEO rankings across the Web. Today, more than 4,200 dealers are members of DealerRater’s Certification Program. For more information, visit www.DealerRater.com or call 800-266-9455. I bought a 2011 Ford Fusion yesterday from Sam Swope of Clarksville,Indiana.My sales man was Sam Weddington,who made the transaction a pleasurble experience.The previous week I was at another car dealer and was unable to complete the deal.Lucky for me it didn’t happen because Sam Weddington was hands down a better salesman.Kudos to Sam Weddington and Sam Swope dealership of Clarksville,Indiana,William Ball Jeffersonville,Indiana 47130.